This awesome group of teachers are some of the sweetest and kindest people out there. Just like a candy store, we have lots of choice for you! From English Language Arts and Foreign Language, all the way to Math and Art... we follow each other on Pinterest and thought you should as well. I see amazing ideas from this group. Let me introduce you to them! Bio: Hi! I'm Adrianne from The Tutor House. I love tutoring and creating engaging lessons for math in reading for grades 3-8! If you've ever thought about starting your own tutoring business, (and what teacher facing employment shortages here in Ontario hasn't?!) you should visit The Tutor House! 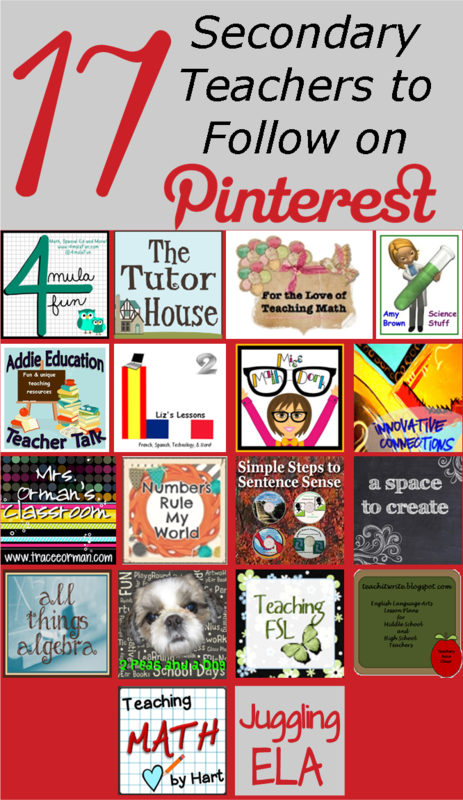 Follow Adrianne of The Tutor House on Pinterest. Bio: Welcome! I am Connie from Teach it Write. I am a retired English teacher and I’m thrilled to now write curriculum full time that I love to share on my site. My book, The House of Comprehension, shows how the elements of literature form the structure of any fiction or non-fiction text. 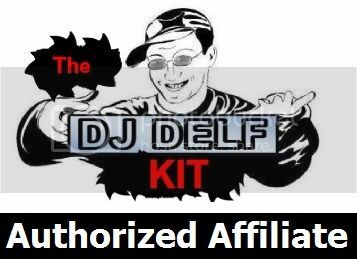 Check it out on my blog or web site. Follow Connie of Teach it Write on Pinterest. Bio: Hi Everyone! It's Kristy from 2 Peas and a Dog. 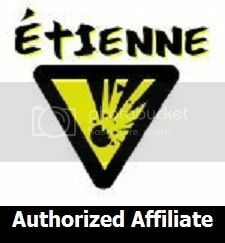 I am a Canadian middle school teacher who loves to pin and blog about things related to Grades 6 and up. Follow Kristy of 2 Peas and a Dog on Pinterest. Bio: Hiya there! I'm Jamie but you may know me as MissMathDork! I am a lover of all things mathematical! Patterns, sequences, geometric shapes, if it's mathematical, I'll find a way to make it fun! Want to see some of my ideas? Check out my ideas and pictures at www.missmathdork.com! You won't be disappointed! Follow Jaime of Miss Math Dork on Pinterest. Bio: Hello, there. I’m Charlene Tess from Simple Steps to Sentence Sense. Grammar is my specialty. I have always loved taking sentences apart and putting them back together, and I successfully taught my students using the simple steps method for over three decades. Visit my blog to get helpful tips on grammar, usage, and writing. Follow Charlene of Simple Steps to Sentence Sense on Pinterest. Bio: Hi my name is TammyManor and I've been teaching high school English for 13 years now. I know that teaching can be very stressful. My school is constantly changing the book list and I've taught every grade 6-12 as well. As a result I have unit plans for a large variety of novels, plays and memoirs. 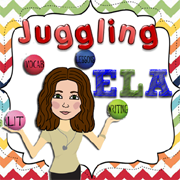 Come check out my store on TpT for a variety of ELA materials. Follow my blog for teaching related posts. Follow Tammy (aka poetgrl aka Juggling ELA) on Pinterest. Follow Sabrina of A Space to Create on Pinterest. Bio: Hi there! I'm Gina from All Things Algebra. I have taught Algebra and Pre-Algebra for seven years and have a passion for creating activites and games that engage my students. If you are interested in finding ways to have more fun in math class, head on over and check out my blog! Follow Gina of All Things Algebra on Pinterest. Bio: Hi there! My name is Amy Brown and I write a blog called "Science Stuff." I am a 29-year teaching veteran of biology, chemistry and AP biology. I love science and I love kids, so I have the best job in the world! Hopefully, I have passed my love of nature and the environment on to many students. My blog has tips and tricks for teaching science as well as a lot of free science teaching materials. I hope to see you there! Follow Amy of Science Stuff on Pinterest. Bio: Hi! I’m Krystina from Numbers Rule My World. I love incorporating hands-on activities and technology into the classroom for Math: grades 7-9. If you’re looking for great ideas about math then you should come on over and check it out at Numbers Rule My World! Follow Krystina of Numbers Rule My World on Pinterest. Bio: Hello, my name is Jennifer Smith-Sloane. I am a Middle School Math and Special Education teacher. I have a strong passion for differentiated instruction to meet the needs of each learner in and out of my classroom. I love seeing the light in a student's eyes when something finally clicks and I do everything that I can to make that happen as often as it can. Visit my blog 4mulaFun! Follow Jennifer of 4mulaFun on Pinterest. Bio: Hey! 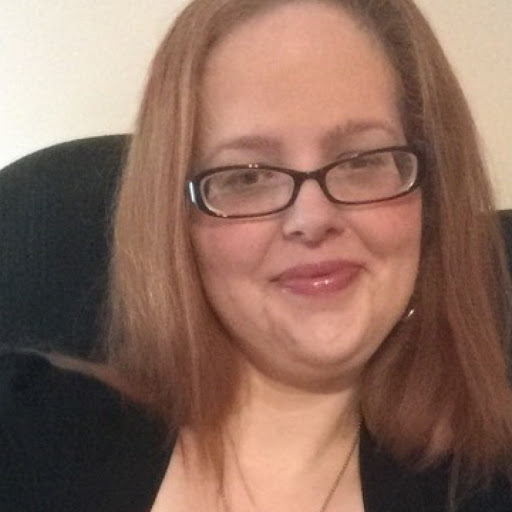 I am Ann Marie from Innovative Connections. I enjoy blogging about various topics: Projects and lessons going on in my classroom, ideas I've learned or ideas I've thought of at the most random of moments (At 2 a.m. when I can't sleep, I can come up with some stellar ideas), teaching resources I find beneficial to fellow teachers and/or bloggers. Due to the wide range of grades I've had the pleasure of teaching, Innovative Connections caters mostly to language arts but loves to share and collaborate with teachers/bloggers of various grade levels. Follow Ann Marie of Innovative Connections on Pinterest. Bio: Bonjour! Hola! I'm Liz from Liz's Lessons. Languages are one of my passions, and I love teaching with technology. I create fun lessons for teaching secondary French, and Spanish. I also make formative assessments and technology activities in English, that can be used in any secondary classroom. If you are looking for some engaging activities for your classes, be sure to stop by Liz's Lessons! Follow Liz of Liz's Lessons on Pinterest. 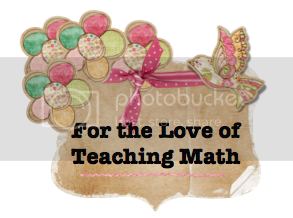 Bio: I'm Andrea Kerr from For the Love of Teaching Math. It is my mission to change traditional math classrooms one game and activity at a time. If you like to incorporate hands-on, group activities and games into your classroom, check out For the Love of Teaching Math! Follow Andrea of For the Love of Teaching Math on Pinterest. Bio: I'm a middle / high-school teacher and I love to create ELA, Social Studies and Geography related resources. I blog at Addie Education - Teacher Talk... come on by and see some of the fun things I do with my students. Follow Addie Education on Pinterest. Bio: I'm a high school English teacher in a 1:1 school who loves books and fostering creativity. 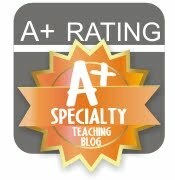 My blogs are Mrs. Orman's Classroom and Hunger Games Lessons. I share my teaching resources on TeachersPayTeachers. Follow Tracee Orman on Pinterest. Bio: Hi! I'm Kim from Teaching Math by Hart. I am forever planning and thinking of new and innovative ways to teach math to my students. Why, you ask? Believe it or not, I think learning Math should be FUN and it should be REAL! If you are looking for some ideas to engage your students in math class, come check out Teaching Math by Hart - in the middle years classroom! I love this post. I teach grade 7 and often find that I can adapt many high school ideas for my intermediate students! Thanks for sharing.